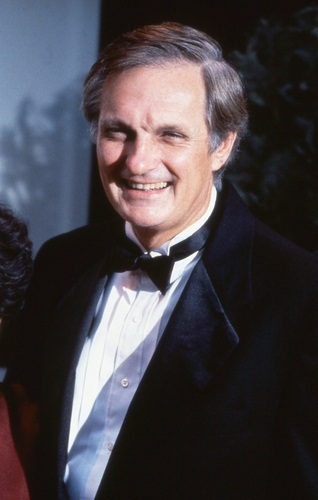 Alan Alda is an American actor, director, screenwriter, comedian, and author. He is the son of Robert Alda (born Alphonso Giuseppe Giovanni Roberto D’Abruzzo), an actor and singer, and Joan Alda (born Joan Browne), a beauty pageant winner. His father was of Italian descent and his mother was of Irish ancestry. Alan is married to musician, photographer, and writer Arlene Alda, with whom he has three children. Alan’s paternal grandfather was Antonio “Anthony” D’Abruzzo (the son of Alfonso/Alphonzo D’Abruzzo and Annina Ferrara). Antonio was Italian, and was born in Sant’Agata de’ Goti, Province of Benevento, Campania. Alan’s paternal grandmother was Frances Tumillo (the daughter of James Tummillo and Elizabeth Moggio). Frances was born in New York, to Italian parents. Alan’s maternal grandfather was Michael Francis Brown (the son of James Brown and Jane White). James was born in Ireland. Jane was born in Pennsylvania, to Irish parents, Michael White and Catherine. Alan’s maternal grandmother was Agnes C. Dugan (the daughter of Patrick Dugan/Duggan and Jane/Joanna/Joana McDevitt/McDade). Agnes was born in Delaware, to Irish parents. Patrick was the son of Patrick Dugan and Mary Corrigan/Kerrigan. Jane was the daughter of James McDade/McDevitt and Jane Conner/Connor. surnames Brown and Duggan->Michael Francis Brown and Agnes C. Dugan. Michael was the son of James Brown and Jane White. James was born in Ireland, while Jane was born in Pennsylvania to Irish parents. Agnes was born in Delaware to Irish parents Patrick Dugan and Jane McDevitt. I know about this family. Some family trees of Alda’s list Alda’s maternal grandparents as William Joseph Browne and Sarah H. Duggan/Dugan, and some list the couple you mentioned. I just don’t know which are right. “Alan’s maternal grandfather was William Joseph Browne (the son of Wilson Edward Brown and Elizabeth Jane Stanyard). Wilson was born in England, the son of Wilson Brown and Margaret Elizabeth Wolf/Woolford, who was Irish. His parent’s marriage record has these names, and there’s a birth record for his mother in PA on ancestry that also says these are the right people and that they were both from Delaware. Alan’s paternal grandfather was born in Sant’Agata de’ Goti, Province of Benevento, Campania, Italy. The same birth place of Bill De Blasio’s maternal grandfather, Giovanni De Blasio.